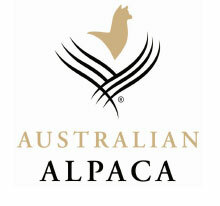 The 15th Australian Alpaca Association Ltd. National Show and Sale returns to Exhibition Park in Canberra on Thursday 28 â€“ Sunday 31 August 2008 to showcase the best of Australiaâ€™s 100,000+ registered alpacas, with exhibitors expected from every State. As the premier event on the alpaca show calendar, the National Show and Sale is a reflection of the industryâ€™s continued growth and development, and is guaranteed to attract international interest including visitors and buyers from New Zealand and the UK. This year, it is expected there will be more than 500 of Australiaâ€™s best alpacas on show, setting an international benchmark for alpaca breeding. 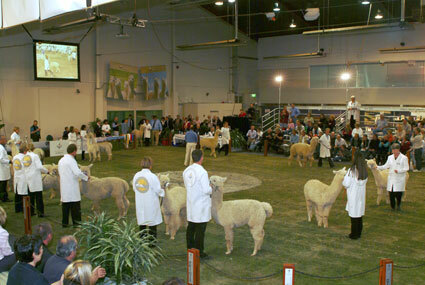 The National Show and Sale will celebrate the very best of what the industry has to offer with attractions including fleece and animal judging, an alpaca photography exhibition, a craft section, trade stalls as well as a celebration dinner on the Saturday evening.Â A highlight of the animal judging will be the big screen video coverage, allowing spectators to see what the judges are seeing. Respected Australian judges Jenny Jackson and Natasha Clark will take on the prestigious task of selecting â€˜the best of the bestâ€™ animals in Australia, the results of which will be closely watched by breeders and visitors alike. Alpaca classes will be judged on the Thursday, Friday and Saturday of the Show, with the prestigious Supreme Champion Alpaca award being announced on Saturday afternoon. The weekend will culminate in the National Classic Auction scheduled for 1pm on Sunday 31 August where the cream of Australian alpaca genetics will go under the hammer.Â This year 13 lots have been nominated for the auction with up to two major prize winners from the Show also being added to the selection. â€œThe National Show and Sale is open to everyone interested in alpacas with free visitor entry and ample parking. The Show allows people to come face-to-face with breeders and provides the opportunity to celebrate one of the fastest growing industries in Australia,â€ said Mr Haslin. â€œAnd the outstanding facility at Exhibition Park in Canberra, also used as the Federal election broadcast facility and for other major national events is located just eight minutes north of the city centre, with a wide range of accommodation and restaurants nearbyâ€. The extraordinarily soft and versatile alpaca fleece, which blends beautifully to provide added softness and luxury to many other fibres such as wool and silk, combined with specialised breeding enhancement programs has attracted many enthusiastic breeders to develop the Australian alpaca industry, both in Australia and for overseas markets. This agribusiness is now a sustainable primary industry in Australia, with an exciting future.